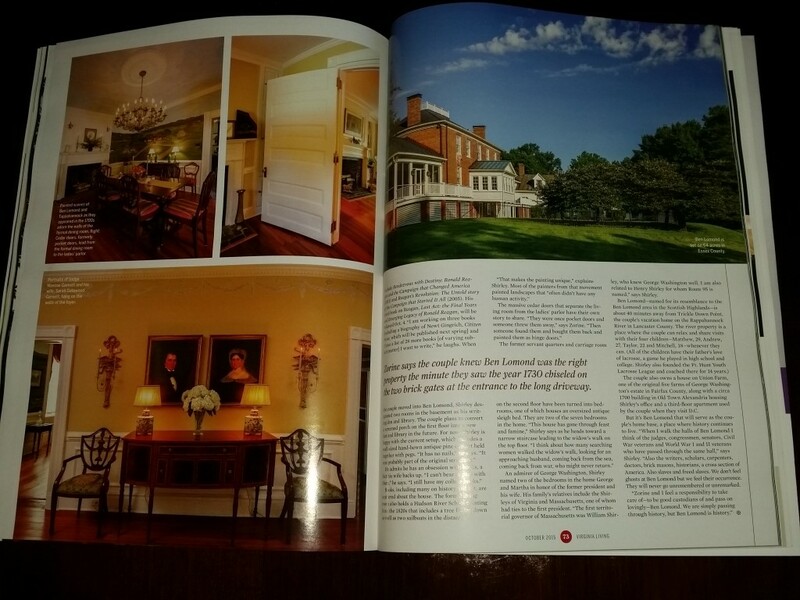 September | 2015 | Karin Andrews Real Estate . . .Experience, Diligence, Results. 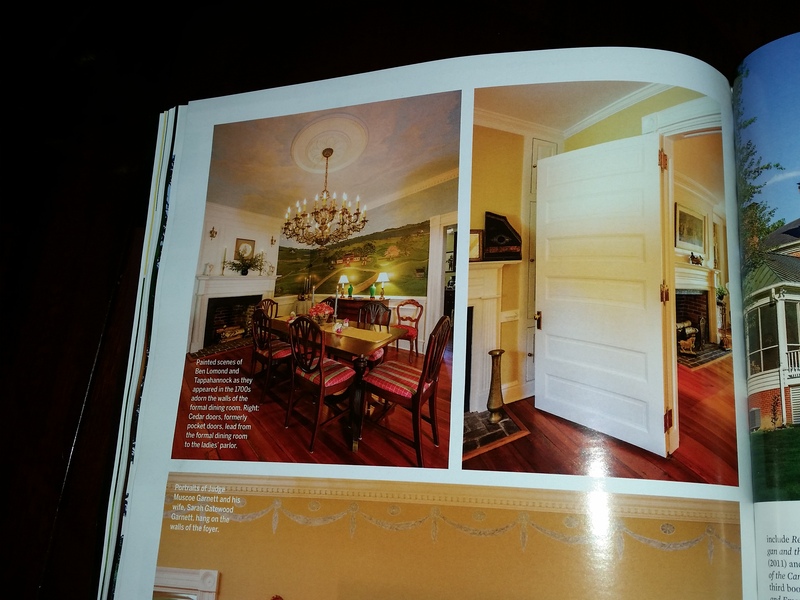 CHECK OUT THE OCTOBER 2015 EDITION OF VIRGINIA LIVING FOR ONE OF MY SOLD GEORGIAN MANSION / ESTATE PROPERTIES AND VIEWS OF MY MURAL WORK DONE YEARS AGO, IN ANOTHER LIFE! 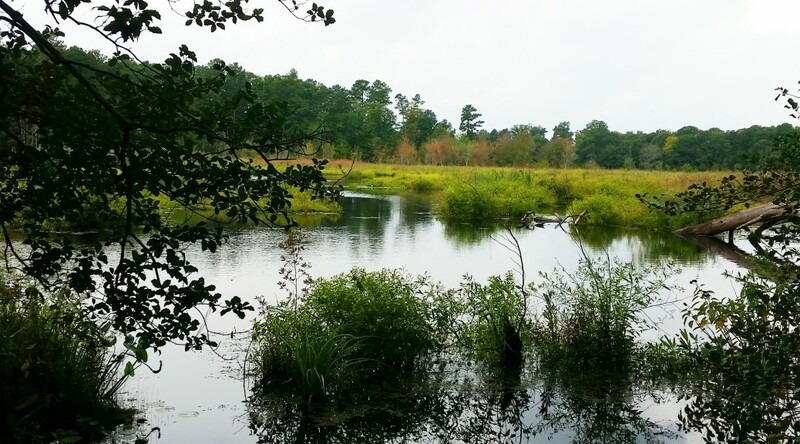 SOLD – Bellvue Lodge Lot 1 at Wares Wharf, Dunnsville, Virginia. 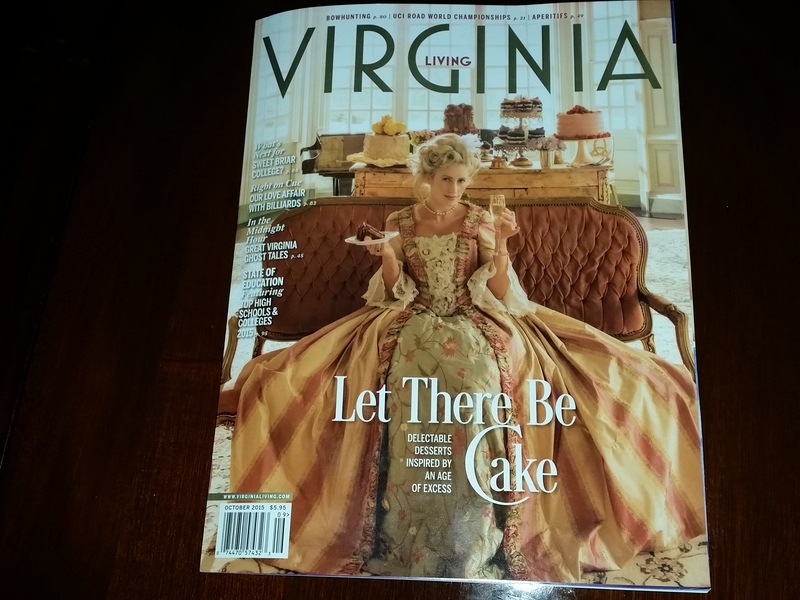 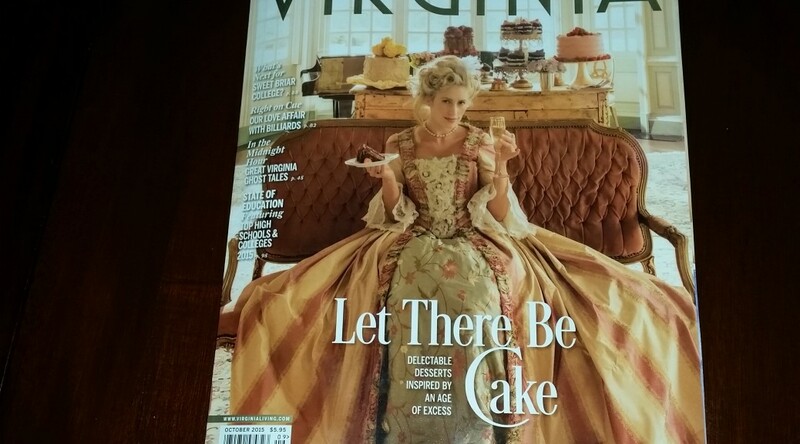 In Virginia Living – the premier lifestyle magazine pertaining to all things Virginia. 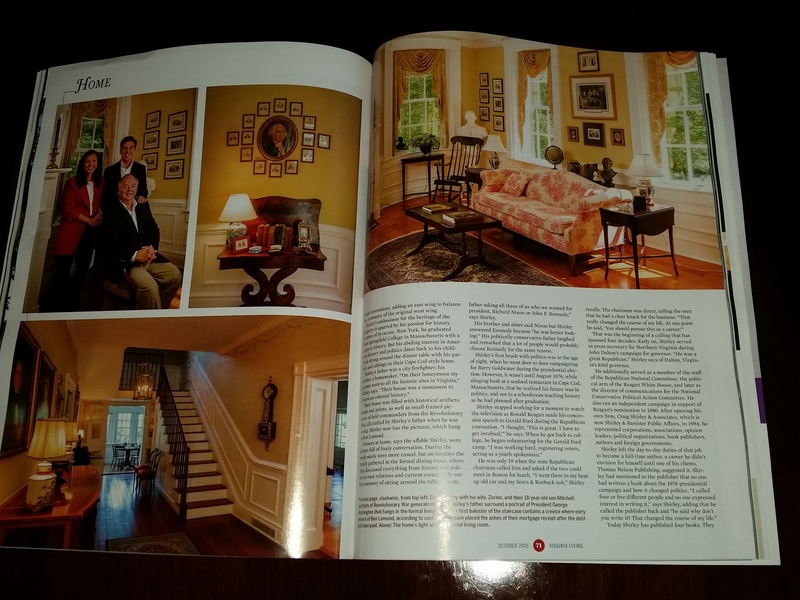 . .
My past life as an accomplished muralist, gilder and decorative artist whose work is featured in many of the great homes in Virginia came together with my work as an equally accomplished Realtor, licensed in the Commonwealth of Virginia! 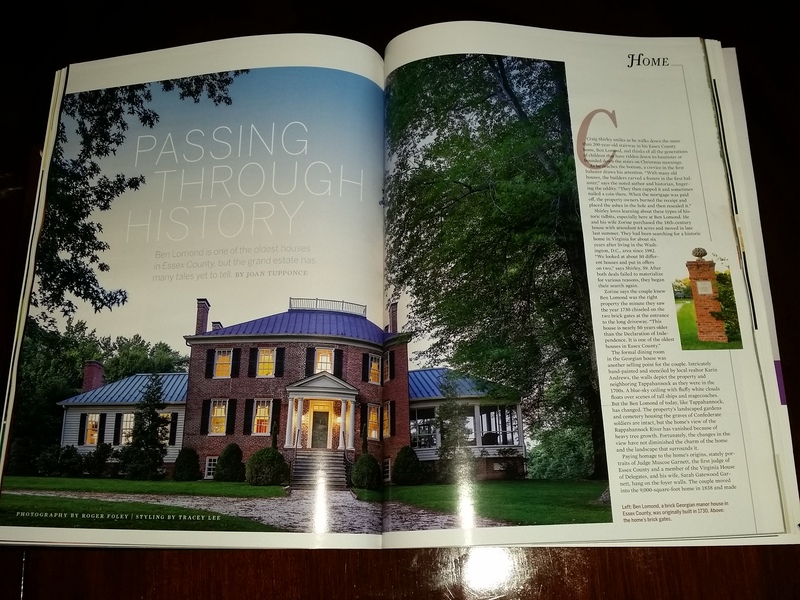 This article featured in the October 2015 Issue of VIRGINIA LIVING magazine mentions me by name and my contribution to Ben Lomond. 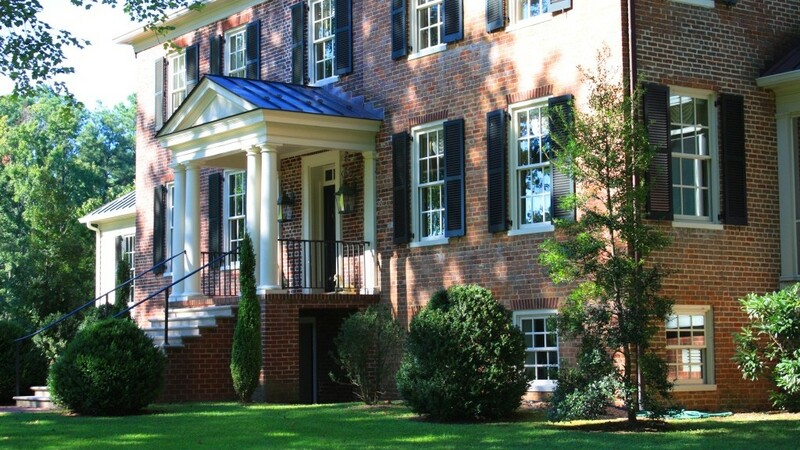 I represented the Sellers in this transaction but have become great friends with Craig and Zorine Shirley, the present and future owners of Ben Lomond – Circa 1730. 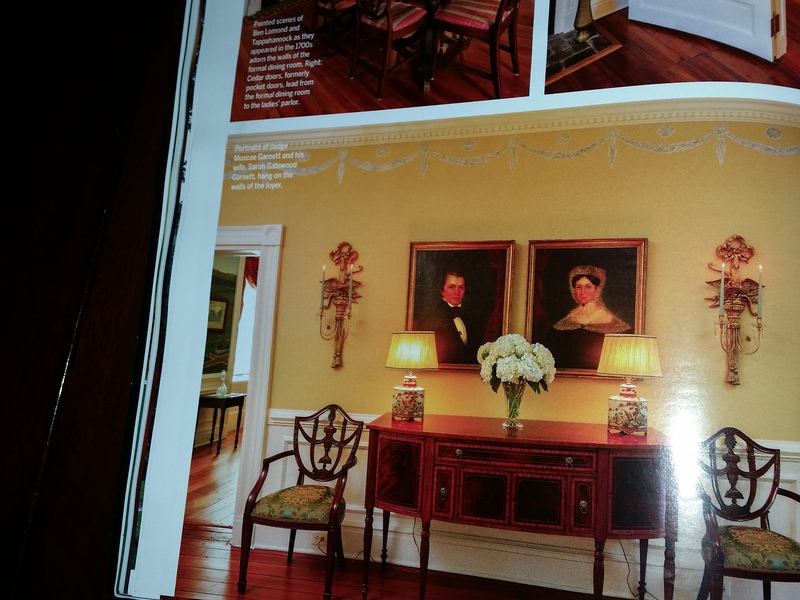 Enjoy the article about an amazing Historic Icon and equally iconic family!